Since ancient times, the third eye had been revered by all kinds of cultures. Today, we know it as the pineal gland, but it is still called the third eye in the spiritual realm. 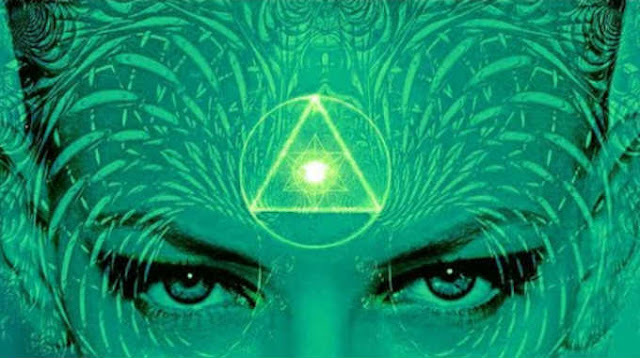 The third eye is viewed as a spiritual sign representing our capability to conquer all kinds of challenges in daily life by tapping into our inner wisdom. But there is much more to the third eye than that. In most Eastern traditions, the third eye is undoubtedly real; a thing that anybody can perceive and obviously feel if they have a strong sense of self and mindfulness. It is what is often referred to as the connection between our body and our spirit. When we meditate with any consistency, the third eye opens and your inner guide becomes stronger and a more present guiding force in your life. 1. A DULL SENSATION OF PRESSURE BETWEEN THE EYEBROWS. Generally when the third eye starts to manifest on a much deeper level, there’s a related consciousness of sensation between eyebrows. It could seem like somebody is lightly touching us at that moment, or you might feel a spreading of warmth. Sometimes this sensation could appear from nowhere; whether we have spiritual feelings or not. It’s as if it’s a signal to pull us back in that spiritual state of mind. Among the most obvious signals of third eye opening is an increase in foresight or intuition we start to experience – if we are paying attention. Intuition is the capability to know something might happen before it does or knowing something is right or wrong because of a feeling or sense. It often comes and goes without notification. However with time, this feeling could get stronger, and turn out to be a guiding process in our daily lives. We might start to sense warning signs or what our next action should be without explanation. Don’t dispute your intuition. Use it! It might not always be right; however it most certainly will put us on the right path. 3. PRONE TO LIGHT SENSITIVITY. With the opening third eye, we could find ourselves a little more sensitive to light and seeing colors more brightly. Vivid colors and our awareness of light may begin subtly; they are not always instantly obvious or overwhelming. However, the sensitivity to light often brings further awareness of what is happening around us. When focusing deeply on the third eye (like in meditation), the lights of the third eye might appear. The third eye and it’s reference to light has been talked about for years in many traditions worldwide. It is well-known in many forms of art and religious works. If you study the works, you can often see the light reference in circular shapes and star-shaped lights peeking through the clouds. Our eyes will change over time, and we might feel like we just can’t get enough sun on our skin. This is normal. Soak it up! Just make sure you are not harming the skin. 4. A FEELING OF GRADUAL AND CONTINUAL CHANGE. Most importantly, fostering a healthy third eye steadily changes our perspective and personality in life. It results in beneficial changes because we want, and maybe even crave them. We can usually see it in the way we treat others. We might become more tolerant and less selfish. A headache pressure is stronger than the pressure talked about earlier that happens between the eyebrows. At times, that pressure can begin to ache a little. Consider it a little bit of energy overload. Go outdoors and do a thing you cherish, like meditate or walk. Head pressure is an actual sign of the spiritual eye opening, particularly in the center of the forehead. It is an indication that one’s pineal gland is developing energetically. When our Third Eye is opening, we’ll begin body-to-soul discussions in our mind with an understanding of our place in the Universe and that we are the creator of our reality! We will encounter greater states of mindfulness, enabling us to visualize a better life and take focused action to help us live up to our potential. We’ll become very intuitive, possess a good memory, and we’ll have the ability to understand without any problem. Stay away from sugar and dairy as much as possible. Meditate outside, naturally, sitting on the grass or natural ground. Be mindful of our senses. Walk in nature for not less than half an hour every day. Display and wear indigo and purple. Let go of limiting beliefs. This post was republished from powerofpositivity.com. You can find the original post here.